Match Tea - Japanese miracle! 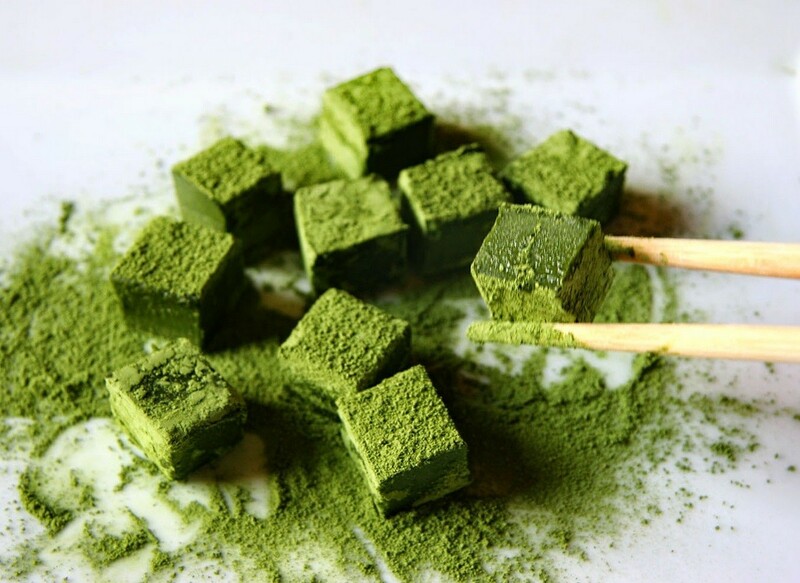 Today I want to talk about tea, but not normal, and the green "pounded tea" - that is literally translated as "tea of ​​the match" (or, as they call it the Japanese, matcha), Which can be called Japanese miracle. I will tell you about his extraordinary taste properties, as well as where to go buy tea inexpensively match and without intermediaries, which vkusnyahi of it can be prepared. Start your article with pathos, at first glance, the statement: this is the most unusual and one of the most delicious teas that I have tried. Why unusual? First, match tea - powder. And it is made from the youngest, barely leaves this attempted. A few weeks before the collection of their artificial shade, thereby halting the growth of shrubs and allowing "saturate" leaves amino acids and chlorophyll. It slows the growth, makes the leaves a darker shade of green tea leaves and enriches the amino acids that make tea sweeter. Then the young leaves ground into a very fine powder (literally powder), after removing them from the veins and stems. This process is very time consuming. Therefore, the match tea has wide industrial production or exported to other countries. Secondly, the method of brewing tea is amazing: make a match - so well to dissolve it (ideally - a special whip whisk) in hot water. match tea, as well as other types of tea can be prepared more concentrated or weak. All Depends, of course, the amount of water and tea leaves. It is unusual and that in any kind of match brewing tea is drunk with a floured tea leaves, which determines its unique beneficial effects on the body (because all benefits of tea have been known in the tea leaves). Match tea has a bright and intense flavor ... and at the same time on a traditional green tea, he did not like: sweet, fresh, that "stringy". Such a dense and rich, like candy or bun to taste, to match the Japanese tea has long been a familiar component of sweets. Add it into cakes, puddings, cookies, ice cream and chocolate, all kinds of milk shakes, and even coffee. I tried the cake, ice cream and milk shake with the addition of a match (just tea, no flavor) - it is something indescribable! How could he so perfectly complement the pastry or ice cream, some kind of mysticism! If only so I set about trying to get the match tea, come what may. In the cold of the match reminiscent of fresh herb. Yes, it is fresh: sweet (the taste is not as sharp and without bitterness, in contrast to the usual green tea), intense with a deep flavor. The color - opaque, bright pistachio due to the large amount of chlorophyll. Thanks to its bright shades of green tea the match got its second name - Jade drink. 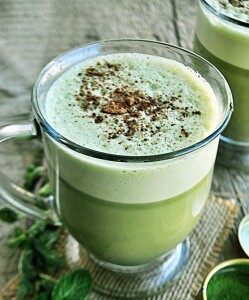 Of course, all heard about the benefits of green tea, but tea and match its unique properties surpasses it at times. The match ½ teaspoon contains 289 mg protein. By the way, in an ordinary green tea for comparison - about 4 mg. It is also rich in vitamins A, B1, B2, B6, C, E, P, K, calcium, fluoride, magnesium, zinc, iron, iodine, etc. By the force of the impact of a tea cup match 10 equivalent to conventional cups of green tea. Match can be tough ( "Coit") or weak ( "Usutu"). For strong drink need 1 full teaspoon heaped on 50-70 ml of hot water (water should be hot 80 degrees). For the poor - half a teaspoon on 70 ml of hot water. Powder simply add water and to insist about 1 minutes. After brewing tea whipped special bamboo broom (at home - any device or whisk for whipping milk froth, blender, as an option) to an even consistency and foaming. Drink drink slowly, in small sips, delaying for a few seconds in the mouth. Where to buy tea inexpensively match? In our latitudes find a real match tea is not so easy. Of course there are shops that sell high-quality Chinese and Japanese teas, but the prices are exorbitant (it is important not to buy a fake (normal ground green tea - BEWARE! ), Which is complete with a flavoring composition with sugar (!) And other additives, even with dietary trans fats)! I found a way out of this situation, which is immensely pleased - we have a long time to order all teas (and other useful pieces) Chinese site aliexpress.com. The price there is several times lower, because you buy goods without intermediaries, directly from the provider. Quality 100% bonus, tried personally, so feel free to recommend it! Free delivery. A nice bonus of this system until you have confirmed receipt of the goods, the money does not come to the seller (they this time to "freeze" on your map) when suddenly the quality of goods you are not satisfied or the item, for whatever reason, does not reach you ( for example, was detained at customs), the entire amount without remainder returned to you. For example, I ordered for myself Tea match here (And other good order the teas we've been on the same site). And now - the most interesting. When we were on vacation in Thailand, I first tried the drink; and not simply match tea and matcha-Latte! He is incomparable, appreciate how green tea lovers, and lovers of cappuccino / latte - check :) Gentle, soft, fragrant, with air foam. Try it and you like it! honey / sugar / syrup - to taste. Match Tea pour hot water, mix thoroughly (whisk), to avoid lumps. Milk-heat, not boiling. Remove from heat and whisk blender, until the surface of the foam does not appear (about 1 minutes). A thin stream, pour the hot milk tea, a spoon and spread foam milk. It is mixed with tea foam, will acquire a pleasant milky greenish tint. match-tea latte is ready! A syrup or honey, cinnamon and can be added to taste. whipped cream - to taste. Add the milk 3-4 ice cubes, match tea and sugar / honey. Mix everything until smooth with a powerful blender (about 1-2 minutes). Put on top of ice cream and / or whipped cream. Remember retseFri chocolate and vanilla cake, porous, gentle, incredibly fragrant? Now tell you a little secret: if you add the vanilla dough about 2 teaspoons of tea of ​​the match (all the other ingredients in the recipe - no change), you get crazy combination of taste and color. Chocolate and match - a great tandem!